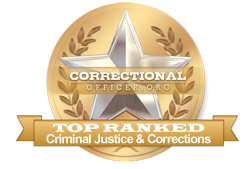 The state of Missouri currently employs 9,536 correctional officers to maintain order with 31,537 incarcerated inmates throughout 20 state facilities such as the Southeast Correctional Center, and the Western Missouri Correctional Center, and with prisoners awaiting sentencing in county jails like Jackson County Detention Center and Lawrence County Detention Center. Missouri does not have a federal penitentiary. The State Department of Corrections mandates that offenders should be released with the tools and skillsets to become productive members of society in order to lessen the chance that they will be a threat to public safety through re-offending. The state of Missouri was chosen as a demonstration site for the Transition from Prison to Community Model - a leader in the field of corrections. As the correctional officer role evolves in order to meet prisoner need and stop recidivism, BLS.gov predicts a stable growth of 5% in the state between now and 2022. That statistic will allow for the creation of 119 new jobs, as well as recruitment for additional jobs as senior officers retire or are promoted. Missouri Southern State University ranks 1st in our rankings with 214 students completing programs in law enforcement administration, criminal justice, and juvenile corrections out of a total 2,158 students from the 2012-2013 school year. Harris-Stowe State University ranks 2nd in our rankings with twenty-eight students completing programs in criminal justice out of a total 324 students in the 2012-2013 school year. Hannibal-LaGrange University ranks 3rd in our rankings with 28 students completing programs in criminal justice out of a total 532 students from the 2012-2013 school year. Columbia College ranks 4th in our latest rankings with 494 students completing programs in law enforcement administration out of a total nine thousand graduates in the 2012-2013 school year. Mineral Area College ranks 5th in our rankings with 57 students completing programs in criminal justice out of a total a thousand graduates from the 2012-2013 school year. Missouri Valley College ranks 6th in our rankings with 40 students graduating from programs in criminal justice out of a total 930 students. Park University ranks eighth in our latest rankings with 215 students completing programs in law enforcement administration out of a total 5,488 graduates in the 2012-2013 school year. Missouri Western State University ranks ninth in our latest rankings with sixty-five students graduating from programs in criminal justice and criminal justice out of a total a thousand graduates in the 2012-2013 school year. Lincoln University ranks 10th in our rankings with thirty-four students completing programs in law enforcement administration out of a total 926 graduates in the 2012-2013 school year. Candidates who pass the assessment portion of the hiring process will be contacted for an in-person interview. After a successful interview, applicants will be enrolled in basic training to take place at a state facility. Focus of training is on practical measures and tactics for the corrections officer role. Employment will be finalized upon successful completion of the final phase of training. One of the ways that the state of Missouri serves and supports correctional officers is through strong growth and competitive salaries throughout the state. As such, the median income for front-line correctional officers throughout the state is much lower at $29,000 than the median income at $39,800, however, professional development can raise salary. According to the occupational profile for the state of Missouri found at http://www.careerinfonet.org/occ_rep.asp?next=occ_rep&Level=&optstatus=011000000&jobfam=33&id=1&nodeid=2&soccode=333012&menuMode=&stfips=29&x=75&y=14 and published by CareerInfoNet.org, state and national trends predict a 3% and 5% increase in correctional officer jobs by 2022 respectively. For residents of Missouri this rate translates into 240 job openings per year. The table below lists career information organized by the BLS for correctional officers in Missouri. The table is sorted by total employment, with the largest metropolitan areas listed first.